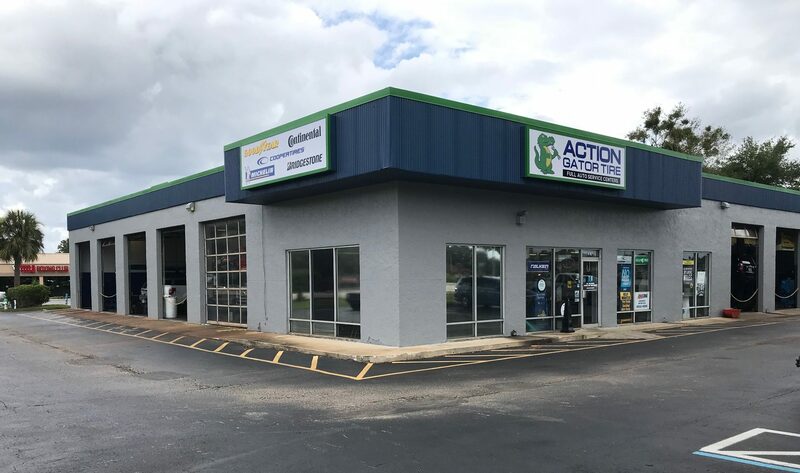 Our Action Gator Tire location at 2040 State Road 436 in Winter Park, Florida is located just east of Winter Park and convenient to Altamonte Springs, Maitland, Eatonville, Fairview Shores, Azalea Park, Union Park, Alafaya, Fern Park, and the entire area. Below, you’ll find detailed driving directions to this location. If you’re in Casselberry, take Seminola Boulevard east toward the intersection with North Winter Park Drive. Turn right onto North Winter Park Drive, and continue south about 2.1 miles, passing Rotary Park on your right and Casselberry Square shopping center on your right. After about 2.1 miles, continue straight under the overpass, then turn left onto East Semoran Boulevard (State Road 436). Continue south on State Road 436 about 2.6 miles, passing Walmart on your right and Casselberry Commons Shopping Center on your right. When you get to the Geneva School on your right, turn left onto Casselton Drive, and Action Gator Tire will be directly on your right. We’re the large yellow and blue building with the big Goodyear Tires sign at the corner of the intersection. If you’re in Slavia, take State Road 436 southwest toward Winter Park. Continue about 6.1 miles on State Road 426, passing Mueller’s Nursery on your right, Duke Energy on your left, 7-Eleven on your right, and Promenade at Aloma apartments on your right before crossing under the FL-417 overpass. You’ll also pass Trinity Preparatory School on your left, Walgreens on your right, and Aloma Square Shopping Center on your left. After about 6.1 miles, turn right onto North Semoran Boulevard (FL-436) and continue north on FL-436 about 0.5 of a mile. Action Gator Tire will be on your right. We’re the large yellow and blue building with the big Goodyear Tires sign at the corner of the intersection. If you’re in Aloma, take North Semoran Boulevard north toward Lake Howell, passing Aloma Elementary School on your left. Continue north about 1 mile, passing the BP/Circle K gas station on your right and Bishop Park Apartments on your right, and Action Gator Tire will be on your right. We’re the large yellow and blue building with the big Goodyear Tires sign at the corner of the intersection. If you’re in Winter Park, take Aloma Avenue (FL-426) east toward Aloma. Continue on Aloma Avenue about 2 miles, passing the Mobil gas station on your left, Mellow Mushroom on your left, Citgo gas station on your right, and the Chevron gas station on your right. After about 2 miles, turn left onto North Semoran Boulevard (FL-436) and continue north about 0.5 of a mile. Action Gator Tire will be on your right. We’re the large yellow and blue building with the big Goodyear Tires sign at the corner of the intersection. Always busy. They get you in and out quick. Always a fair value and reliable service. It's nice to find that mechanic shop that has honest people working there and aren't going to try to sell you a new car. Took my vehicle in for a 2nd opinion from what the dealer was going to charge me and they saved me over $1700. They tend to stay busy (which is a good sign) so it may take them a day or two to fix the problem, but it's well worth it if you are trying to save money. Nice older, mature professional who ordere a tire for our Buick. I have gotten a lot of work done here on my car. Wheel repair, alignments, spark plugs, engine mounts, and more. 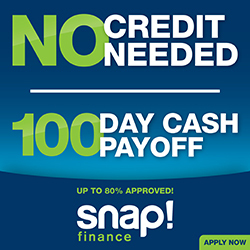 They have always done an excellent job and have advised me so I can always stay within my budget. They can be pretty busy sometimes but are always willing to keep you updated on the status of your vehicle. I had been hearing loud squeaking in my brakes for about 2 days so I decided to take my car in to have my brake pads changed. They took my car back and did a full inspection then the staff explained to me that my brake pads were like new and they didn’t feel right charging me for new pads. My lack of knowledge on the subject had made me an easy target for dishonesty in the past so this was refreshing! He told me they could try some lubrication, and sure enough that took care of the problem. I have used them in the past for basic maintenance and will be using them from here on out for any of my car needs. Highly recommend! Thanks guys. Bo did an excellent job finding the tire I wanted at a reasonable price. Tires were installed promptly and I was on my way. Good job! The employees here at this location really took care of me and my car needs. Made the experience as smooth a d painless as possible. Would definitely go back. The crew of this shop are great people. Nice and helpful. I would like to tell anyone that needs a good mechanic to stop in and see for yourself.! I was leaving work when I noted my truck had a flat tire. Using a can of Fix-a-Flat in the tire I limped my way to a local tire shop. That shop gave me the song and dance that due to the fact I used Fix-a-Flat in the tire they could not legally patch the tire and that I would have to buy a new tire. Pondering the situation I left and proceeded down the street to Action Gator Tire. Action Gator Tire inspected my tire said no problem and patched the tire. I was in and out on the road in 30 min. Thank you for being honest! I'll be back. Bo and his staff at this location are excellent! Bo took the time to thoroughly review my options and prices both over the phone and again in person. He made sure I was getting the best price for the best tire that met my budget. Unfortunately they lost my custom valve stem caps. I called back to see if they had them laying around and supposedly they were left in my cup holder but I don't have them. Bo told me he would reimburse me if I were to replace them but I'm not going to take him up on that offer. I understand things happen and the fact that he was willing to make me that offer speaks volumes about the level of service this store offers it's customers. Thanks again Bo for the great service and thanks to your team for getting my car back on the road with 4 new tires! I would highly recommend them. Great knowledge. They listened to what I had to say. Took care of the problem and had me on my way in know time. If you have problems with your car this is definitely the place to go. ???? Clean, comfortable waiting lounge. Super friendly service. What more can you ask for? Last Friday, I got something pierce one of my tires. I called around to a few places to see if they could fix or replace the tire and how much it would cost. I am a Full Time student so cost is an issue.Action Gator Tire said I could bring my car in and they would take a look for me, but they were busy for the next few hours. I came in since I was close by and waited with my car. They found two nails in the tire, but were able to fix it. All the gentlemen I talked with there could not have been more kind and friendly. This felt like a neighborhood spot, as they clearly knew some customers by name. I would definitely recommend this spot to others! Finding a trustworthy mechanic is like finding and sticking with a good family doctor. The team at this location is trustworthy, kind, knowledgeable and efficient. As a customer, I feel like they really listen to me and are really interested in helping me with my car troubles. No work that has been done to my vehicle here has failed me. They will not proceed with additional work without informing you. They will not insult your intelligence here and they will not treat you like a dollar sign. I've had my oil changed here, brakes replaced, new tires and my AC control head replaced. Good place to fix your car! I brought my daughters car to get brakes fixed. Now it stops on a dime. Life savers! They were extremely accommodating and very nice. I actually enjoyed going there and won't dread it in the future. They were quick, honest and professional. I will definitely go there in the future. I enjoyed talking with the people who worked there and they treat you like family. Plus they did a great job! Great place. Very nice and friendly employees. Got me in right away and did not take long for a oil chnage and tire rotation. Recommend them over anyone else in the area. Will be going there for now on. We bought tires at a big box store and they couldn't install because they couldn't loosen the lug nuts. They told us to take the car somewhere else to replace the lug nuts and then bring it back to the big box store to install. Went over to action gator, they removed the lug nuts with no issue. It was borderline comical how something that gave a big box store trouble was a non-issue at Action Gator. We refunded the purchase at the big box store and did the whole thing (tires, installation, alignment) at Action Gator. They were friendly, affordable and prompt. Should have gone with Action Gator in the 1st place. Will never go anywhere else. Bo and his staff are top notch at this location. Their attention to detail and their communication skills are absolutely outstanding! Enjoyed my time here today, excellent service with wayne and bow as always. In and out at a great time. Everyone is always so kind and friendly! Will always come here when service is needed! Action Gator seems to be one of the better tire stores in the area. The staff was friendly, and I received a reasonable quote on tires. I have had the pleasure of being a customer at this location. My vehicle has been brought in on a couple of occasions and both times my experience has been above my expectations. If I could give Wayne and the rest of the staff 10 stars I would. Very professional with good answers and understands that not every problem needs to be resolved at once. Thank you! Super service. Not pushy or put fear into a person to create a sale. God bless them. The guys at Action Gator Tire have always done well by me. I feel like they provide honest, accurate estimates and do good work. They've never been pushy about service recommendations and have respected my decisions when I've declined service. I've had oil changes, brake services and AC repair done here.